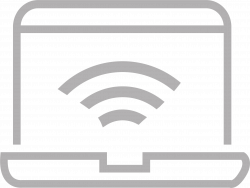 Elevate Internet | Delta-Montrose Electric Assn. Elevate offers the fastest and most reliable internet for homes and businesses. Great internet for everyday family use. Surf, stream, and share on 5 devices all without buffering—100 Mbps download/100 Mbps upload. If your family has device overload, this is the plan for you! Work from home, download HD movies, upload, and transfer data, game online, all at incredible speed. 1 Gig download/1 Gig upload. Learn more about Elevate WiFi here. For small businesses: connect multiple workstations and wireless devices (2 - 15 average). Access merchant services and cloud storage. Upload and download at the same fast rate. Dedicated network with business level support and 4-hour repair response time. Service guarantee of 99.9%. Power your business success. Access cloud services with no delays. Transfer data and large files and run video security systems. Connect multiple workstations and wireless devices (15 - 35 average). Offer fast guest WiFi. Dedicated IP and network with business level support. Service guarantee of 99.9% and 4-hour repair response time. The ultimate connection for your business. Access cloud services, transfer data, and large files. Support internal communications (chat, intranet, and more). Connect 35+ workstations and wireless devices. Run video security systems and manage remote servers. Offer blazing fast guest WiFi to customers. Dedicated IP and network with business level support. Service guarantee of 99.9% and 4-hour repair response time. Find out more about Elevate business internet and phone services.